Hello everyone! I am so excited about getting my site up and running again and sharing the many resources I have created and accumulated over the years. I know there are many of you that have already started school and then there are some that have yet to return. Either way, it’s never too late to incorporate some new tips into your routine that will help you save time and get more done during a limited time, cut processes, and get more out of your students. Check out the quick five tips below to see if any of them would work for you. forms for keeping track of your work within FCCLA for documentation, especially if you are on a Program of Work and much, much more. However, don’t just read about it. Feel free to check out the following video on a more detailed view of the planner and how it can help you get organized this school year. Want your own copy, click here. I know you all know how I am about bell ringers, despite the controversy. I really think they are a great asset to our classes and as a matter of fact, I have written posts about them before here. But for this quick tip, I just wanted to answer a question that many seem to ask on a daily basis: “Should bell ringers relate to the day’s lesson?” And my answer, of course, is YES!!! Why wouldn’t it? Allows the teacher the time to take care of basic housekeeping such as take the role, get presentations and/or materials setup, and more. Having a problem coming up with bell ringers or finding bell ringers that fit your classes. 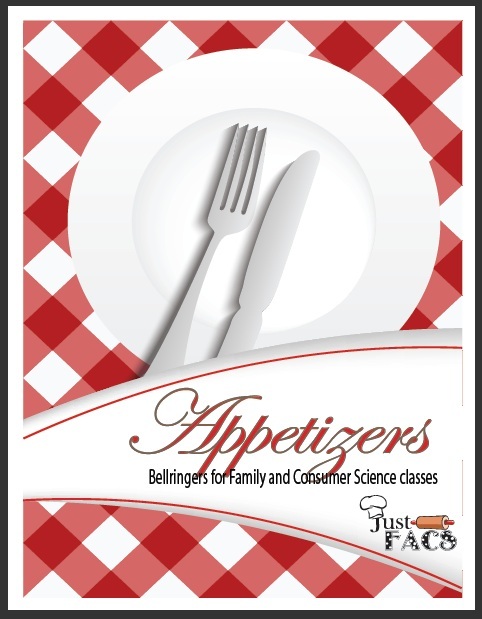 Check out my Appetizers book with 90 plus bell ringers for different FACS classes here. Need a closer look, check out the quick video below! I don’t know about you all, but I know that every semester I have students that turn in work that is just not up to my expectations. We have all been there when a student doesn’t follow the recipe exactly or rushes through the assignment because of procrastination, or just don’t care. Have you ever thought about documenting those failures? Sometimes showing students samples of what you want stifles their creativity. In most instances, students began to try and duplicate exactly what you have shown them so that they get the grade they desire. Try showing them examples of what you don’t want from past students who have done the same activity but put in no time and effort, or just didn’t care. Be sure to remove names and other identifying information. Also be careful, not to share work of students who did their best but may have been special needs. So pullout that phone or digital camera and begin snapping photos of the good and the bad, the successes and the failures, the plate ready and trash ready LOL!!! Pinterest Fails for fun just so that you get the idea!! ← Google Forms for FCCLA!